Luxury real estate buyers often want a home that makes them feel as though they are on vacation. If you aren’t sure how to decorate your new construction home, consider some takeaway ideas from some of the world’s most splendid hotels. According to a recent article by The Seattle Times, the best-designed hotels often showcase the latest luxury home décor trends. Some hotels provide a tranquil setting that helps people get in tune with earth by using a lot of bamboo, fountains and greenery. To get the look, you can easily incorporate plants and environmentally friendly appliances and flooring material in the home. When designing your Old World or Mediterranean style home, focus on wellness, sustainability and a nature affinity. According to experts, the best way to create a sacred space is with plants, stone accessories and other natural materials. Also, consider adding a yoga or meditation room. While minimalism is still popular, some hotels don’t hold back when it comes to patterned wallpaper, fabrics, prints and rugs. To get a similar look in your home, try bold wallpaper print and furniture patterns. Other trends that show up in hotels include faux fur accessories such to add a tactile component. Also, a lot of people gravitate to community or shared spaces. Trend-setters also use rounded furniture and armchairs, but other ideas include circular rugs, throw pillows and tables. At J. Lambert Custom Homes, we build luxury real estate for our clients who love the Old Word style as well as other popular architectural styles including Colonial, Tuscan, French and Mediterranean. For more information about what’s happening with the luxury real estate market and tips for décor, please contact us. View our projects on Houzz! Which French Style Home Is Right For You? 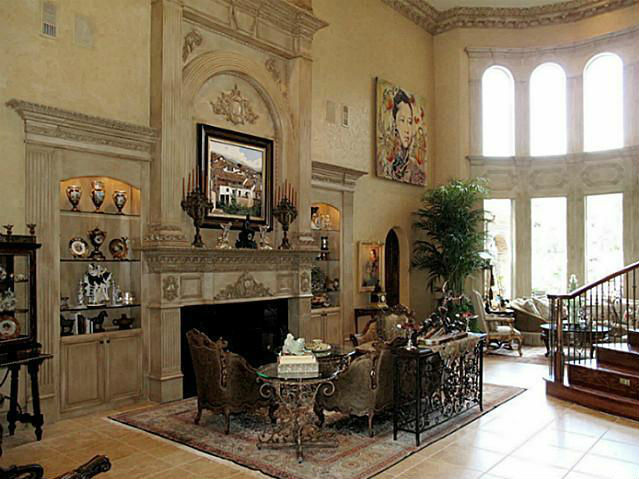 "Lambert homes are built to the highest standards of quality for discriminating homeowners. You cannot underestimate the value of the attention to detail and workmanship that goes into every Lambert home. I have been a very satisfied homeowner for over five years and we love our home and the service provided by the expert Lambert team!" - AMY S.